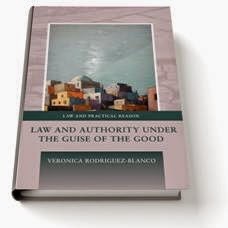 Les comparto el nuevo y esperado libro de la gran Verónica Rodríguez-Blanco (nacida en Venezuela y educada en Oxford y Cambridge), Law and Authority under the Guise of the Good. 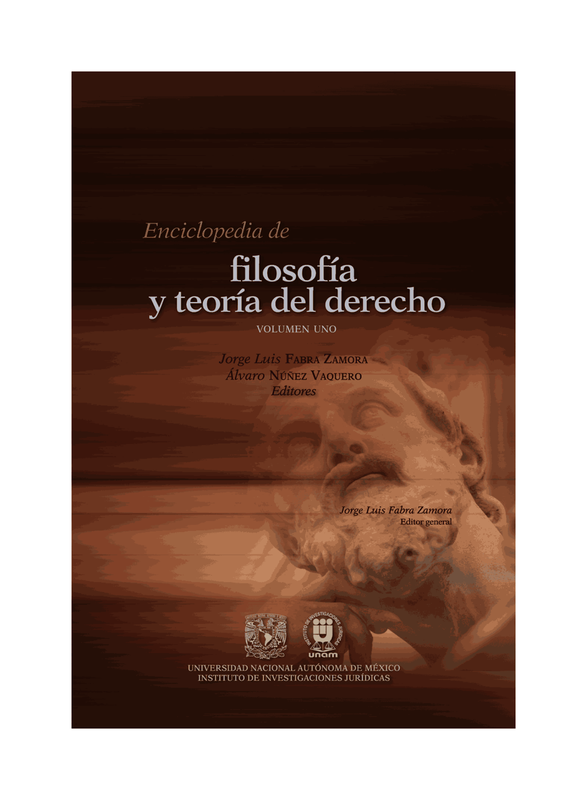 El argumento del libro es que no podemos entender la los problemas de la filosofía del derecho (en particular, de la autoridad), sin entender otros problemas de racionalidad práctica y filosofía de la acción. Verónica retoma un línea aristotélica-tomista para dar nuevas luces sobre problemás clásicos y contemporáneos de la filosofía del derecho. Como siempre, Hart Publishing da 20% de descuento para los lectores del blog (instrucciones abajo). The received view on the nature of legal authority contains the idea that a sound account of legitimate authority will explain how a legal authority has a right to command and the addressee a duty to obey. The received view fails to explain, however, how legal authority truly operates upon human beings as rational creatures with specific psychological makeups. This book takes a bottom-up approach, beginning at the microscopic level of agency and practical reason and leading to the justificatory framework of authority. The book argues that an understanding of the nature of legal normativity involves an understanding of the nature and structure of practical reason in the context of the law, and advances the idea that legal authority and normativity are intertwined. This point can be summarised thus: if we are able to understand both how the agent exercises his or her practical reason under legal directives and commands and how the agent engages his or her practical reason by following legal rules grounded on reasons for actions as good-making characteristics, then we can fully grasp the nature of legal authority and legal normativity. Using the philosophies of action enshrined in the works of Elisabeth Anscombe, Aristotle and Thomas Aquinas, the study explains practical reason as diachronic future-directed intention in action and argues that this conception illuminates the structure of practical reason of the legal rules' addressees. The account is comprehensive and enables us to distinguish authoritative and normative legal rules in just and good legal systems from 'apparent' authoritative and normative legal rules of evil legal systems. At the heart of the book is the methodological view of a 'practical turn' to elucidate the nature of legal normativity and authority. Veronica Rodriguez-Blanco is a Senior Lecturer in Law at the University of Birmingham.